Throwback Thursday! I’m going to start reposting some of my first 180Dayz comics. Each Thursday I’m going to resurrect one from the archives, just for you! I’m putting up this one this week as we have testing coming up at our schools. With the president pulling back on NCLB you would think these tests would die, but with our state launching a 2.0 version of our famed MCAS test, it seems like standardized test just won’t go away. 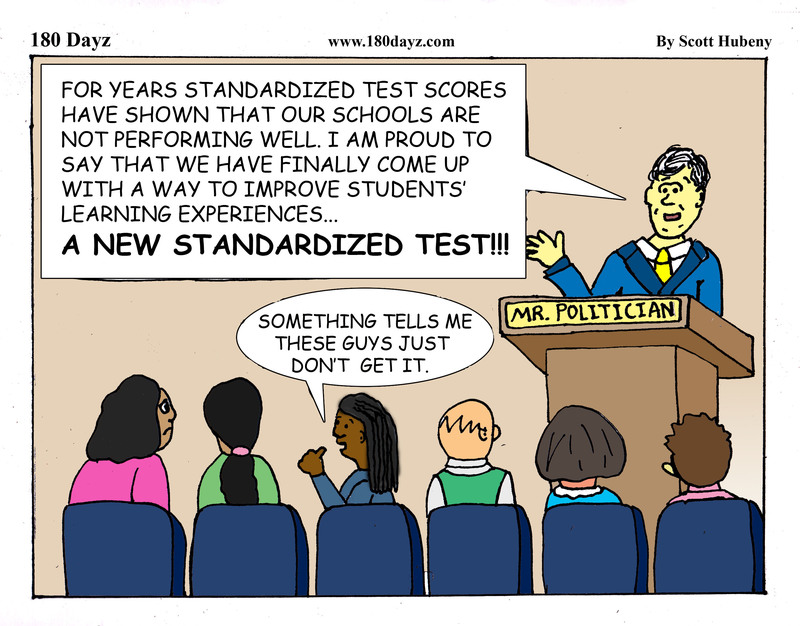 Click on the link below for a different comic that shows what teaching would be like without high-stakes testing. You may recognize it as it was recently published in the AFT Advocate paper. Thanks, and don’t forget to share the laughs with your friends and colleagues! How do we help our kids learn? Test them more! Previous postGive me a New Years break!